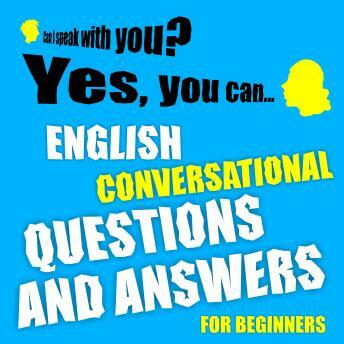 Listen to "English conversational questions and answers for beginners" on your iOS and Android device. Are you a beginner and have a problem to understand English? Do you have a problem to speak English? Can you answer basic English questions? This audiobook will talk to you in very easy questions and answers. It will teach you to understand basic conversations. It’s about traveling. It’s basic, easy and slow. It’s for beginners who want to understand when people speak English on a basic level. It’s not fast and it’s not very hard. Listen one and half hour of slow and easy English traveling questions. Situations are in hotel, in reception, at swimming pool, on beach, at airport and so on. You can have a better holiday and travel more. This is practical English for beginners. No explaining. It’s for people who what to travel and want to have conversations in English. Download it to your mobile, tablet or computer and start listening.